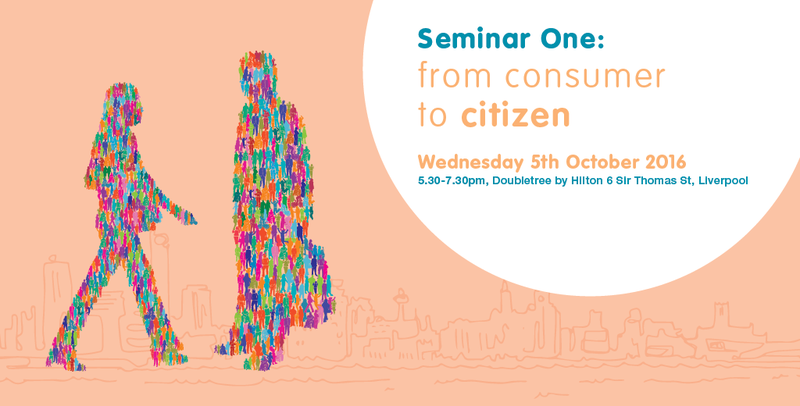 The first installment of the Engage 2016 Seminar Series will look at shifting the debate around people from being consumers to being citizens. We are pleased to welcome our national speaker Jon Alexander of The New Citizenship Project to begin our transformational series. The New Citizenship Project is a social innovation lab, established in 2014 to help catalyse the shift to a more participatory society. Founded by brand purpose experts Jon Alexander and Irene Ekkeshis, they use creative strategy to promote the role of the citizen and encourage better participation in society. 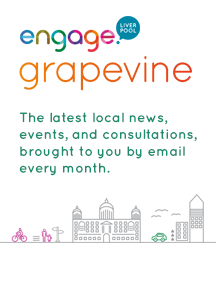 The Engage 2016 Seminar Series is a forthright challenge to ‘take back the city’ from values and ideas that undermine the well-being and health of the city centre residential population. 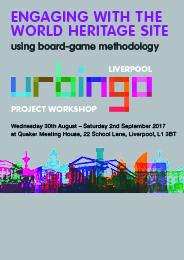 Engage will bring 3 important national and European leaders to Liverpool to address these issues and start a conversation about reclaiming the city as a space for real human encounters and for the genuine empowerment of the civic body. These seminars are open to everyone and there will be a request for a small donation (£2.50) to help cover costs which will be refunded upon attendance at the event if required.